Chiropractic care has been proven to provide patients suffering from a wide range of ailments and musculoskeletal conditions relief from pain, better range of motion, and a better quality of life. Yet, so many people who can benefit from chiropractic treatments never think to be seen by a chiropractor Wilmington NC. Southeastern Healthcare has experienced chiropractors that can help you live a more comfortable life. If you’re still unsure about what benefits a chiropractor can provide you with, then here are ten of the most common ways chiropractic treatments help our patients. Neck and low back pain are among the most common reasons why people undergo chiropractic treatments. These patients see chiropractors because the treatments not only work, they also cost about one-third of the costs of physiotherapy. The results are clinically proven. In a study published by the Journal of Manipulative and Physiological Therapeutics, it was found that patients suffering from chronic low-back pain showed greater improvement and satisfaction after one month of chiropractic treatments than patients who were treated by family physicians over that same time period. Sciatica is a very painful condition caused by nerves being pinched in the lower back. And, it is another one of the top reasons why people seek out chiropractic care. In a recent clinical study, the European Spine Journal determined that chiropractic adjustments delivered a 72 percent success rate in treating sciatica and its associated symptoms compared to just a 20 percent success rate from physical therapy. For so many patients suffering from neurological conditions, help is random at best. But, recent studies indicate that upper cervical spine adjustments can have beneficial effects on various brain-based conditions. After receiving adjustments, patient MRI scans show that cerebral spinal fluid and blood flow are substantially increased while cerebellar invagination and brain plaquing (common in multiple sclerosis patients) is actually being reversed! Migraine sufferers account for the second largest patient group for chiropractors and it’s not hard to see why. In a recent group trial, it was determined that 22 percent of migraine sufferers saw their number of headaches drop by 90 percent after receiving chiropractic treatments and nearly half said their headaches, when they did have them, were significantly less painful. In 2012, the Journal of Manipulative Physiological Therapeutics published a study in which it was found that chiropractic care can help reduce the severity colic symptoms and ear infections in children. In fact, many children experienced a complete to near complete resolution after just a few treatment sessions. Frozen shoulder is another name for adhesive capsulitis, a condition characterized by stiffness and pain in one’s shoulder joint. It is a condition that most commonly affects women who are recovering from a medical condition or procedure that prevents the patient from moving her arm, most often a stroke or mastectomy. In a recent clinical trial consisting of 50 patients, 16 recovered fully, 25 experienced a 75 to 90 percent improvement, and 8 showed 50 to 75 percent improvement. Only one patient experienced less than 50 percent improvement. George Bakris is considered the world’s expert on hypertension, and in 2007, he published a study in the Human Journal of Hypertension that showed that just one chiropractic adjustment of the upper cervical spine delivered the same effect as two blood pressure-lowering drugs. But, the key difference was the effects of the one adjustment lasted more than six months. Chiropractic care has been used around the globe for centuries as a natural means of preventing surgeries on the back. The Journal of the American Medical Association even advises doctors who treat people suffering from back pain to have their patients first try chiropractic treatments before resorting to back surgery. Scoliosis is a condition that causes the spine to curve. It occurs most often during a child’s growth spurt right before they reach puberty. According to Dr. Dennis Woggon of the Clear Institute, specific chiropractic adjustments coupled with muscular rehabilitation techniques can be beneficial in preventing the progression of this condition. The Clear Institute’s treatments have made it is possible for many patients to avoid restrictive braces or dangerous surgeries. So many professional athletes make chiropractic care a regular part of their health and wellness routines because it provides them with a wide range of athletic performance improving benefits. Studies have proven that chiropractic treatments can help boost the immune system, relieves muscle tension, enhances mental clarity, improves flexibility, improves pulmonary function, increases overall energy, and decreases mental and physical stresses. 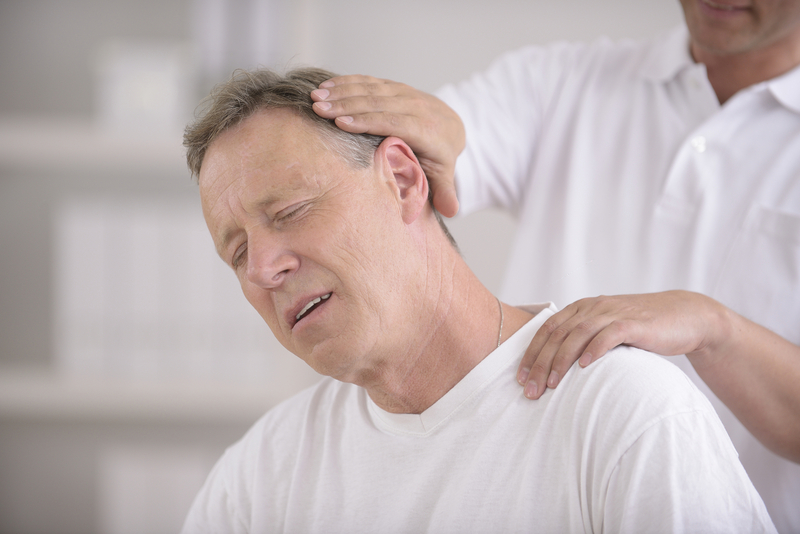 If you are suffering from pain and you’ve never been to a chiropractor Wilmington NC, then you should talk to your doctor to see if a chiropractor might be able to provide you with some relief. Or, just call Southeastern Healthcare and we’ll schedule you an appointment with one of our experienced chiropractors. Don’t let your pain get the better of you. Relief is possible without the use of addictive medications and risky surgeries. Call Southeastern Healthcare today at 910-202-4341 to schedule an appointment with one of our chiropractor Wilmington NC. We are here for you. With six locations throughout the Wilmington area, we have an office conveniently close to you.